A rumor flew across our desk today that has made the entire team at IT Chronicles sit up and take notice. 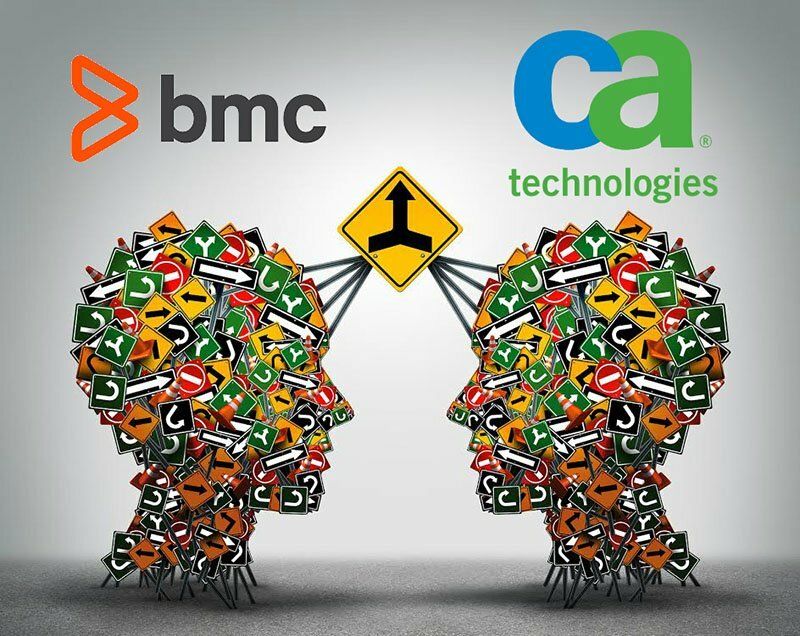 According to a Bloomberg Technology News article BMC Software and CA are in discussions that would see them combine as part of a transaction to take CA private. The market is certainly taking notice of the rumour with CA shares jumping as much as 17 percent in late trading. So what would this potential merger mean for the IT Management software landscape? BMC Software is firmly ensconced in the leaders quadrant of the Gartner Magic Quadrant, along with ServiceNow. CA offers a huge customer base and a market value of some $13.2 billion. We have seen software mergers in this space before, most recently with the Landesk/Heat marriage bringing us Ivanti. But this merger is likely to be a completely different beast, potentially creating a gargantuan force in the IT Management space. The size and potential market share of such a combination will, I imagine, be making waves at the offices of the current recognized leader in this space – ServiceNow. CA was once a leading force in IT Service Management, but they have noticeably dropped out of that sector in recent years. BMC, often regarded as being less innovative and exciting than its main competitors, has been making a conscious effort to meet customer demands for innovation in recent years. Combining the diverse digital and software portfolios that both these companies bring is, potentially, an exciting development for the IT Management industry. More competition at the upper end of this market can only be a good thing, with many larger organizations currently seeing very few options when looking for enterprise level solutions. So, while this is currently just a rumor – albeit from reputable sources – it should be making the IT Management industry ponder a very different landscape in the future, perhaps bringing a more level playing field for vendors at the enterprise level of the market. There will be many hoops for these companies to jump through before this merger is likely to become a reality, so watch this space. We certainly will be. Look out for more information on this in future posts.